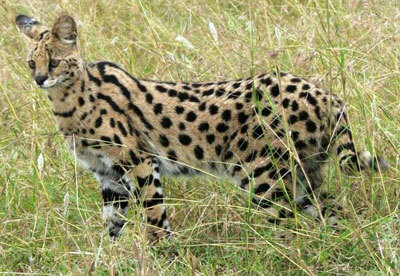 The serval is a medium-sized cat, measuring 59 to 92 cm (23 to 36 in) in head-body length, with a relatively short, 20 to 45 cm (7.9 to 18 in) tail, and a shoulder height of about 54 to 66 cm (21 to 26 in). 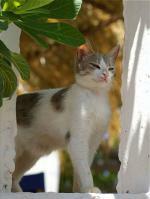 Weight ranges from about 7 to 12 kg (15 to 26 lb) in females, and from 9 to 18 kg (20 to 40 lb) in males. 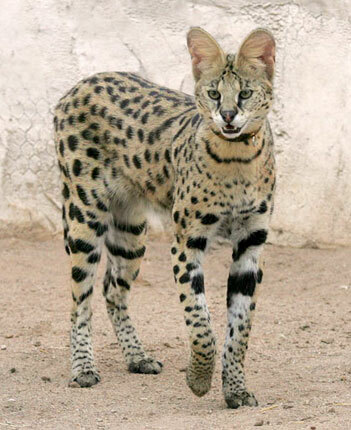 Servals have the longest legs of any cat, relative to their body size. Most of this increase in length is due to the greatly elongated metatarsal bones in the feet. The toes are also elongated, and unusually mobile, helping the animal to capture partially concealed prey. Another distinctive feature of the serval is the presence of large ears and auditory bullae in the skull, indicating a particularly acute sense of hearing. 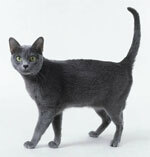 It is a strong yet slender animal, with long legs and a fairly short tail. 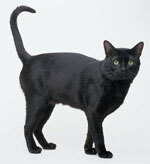 Due to its leg length, it is relatively one of the tallest cats. 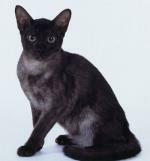 The head is small in relation to the body, and the tall, oval ears are set close together. 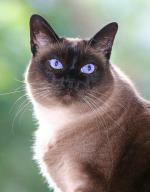 The pattern of the fur is variable. Usually, the serval is boldly spotted black on tawny, with two or four stripes from the top of the head down the neck and back, transitioning into spots. The "servaline" form has much smaller, freckled spots, and was once thought to be separate species. 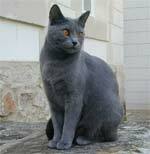 The backs of the ears are black with a distinctive white bar. In addition, melanistic servals are quite common in some parts of the range, giving a similar appearance to the "black panther" (melanistic leopard). White servals have never been documented in the wild and only four have been documented in captivity. One was born and died at the age of two weeks in Canada in the early 1990s. The other three, all males, were born at Big Cat Rescue on Easy Street in 1997 (Kongo and Tonga) and 1999 (Pharaoh). Kongo also died in 2004 after a severe reaction to hay bedding. 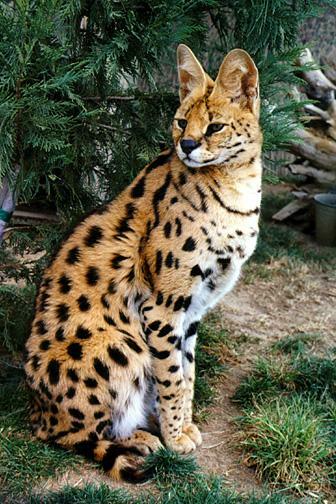 The serval is native to Africa, where it is widely distributed south of the Sahara. It was once also found in Morocco, Tunisia, and Algeria,but may have been extirpated from Algeria and only remains in Tunisia because of a reintroduction programme. Its main habitat is the savanna, although melanistic individuals are more usually found in mountainous areas at elevations up to 3,000 metres (9,800 ft). The serval needs watercourses within its territory, so it does not live in semi-deserts or dry steppes. Servals also avoid dense equatorial jungles, although they may be found along forest fringes. They are able to climb and swim, but seldom do so. Servals are nocturnal, and so hunt mostly at night, unless disturbed by human activity or the presence of larger nocturnal predators. Although the serval is specialized for catching rodents, it is an opportunistic predator whose diet also includes birds, hares, hyraxes, reptiles, insects, fish, and frogs. The serval has been observed taking larger animals, such as deer, gazelle, and springbok, though over 90% of the serval's prey weighs less than 200 g (7 oz). The serval eats very quickly, sometimes too quickly, causing it to gag and regurgitate due to clogging in the throat. Small prey are devoured whole. With larger prey, small bones are consumed, but organs and intestines are avoided along with fur, feathers, beaks, feet or hooves. The Serval utilizes an effective plucking technique in which they repeatedly toss captured birds in the air while simultaneously thrashing their head from side-to-side, removing mouthfuls of feathers, which they discard. As part of its adaptations for hunting in the savannas, the serval boasts long legs (the longest of all cats, relative to body size) for jumping, which also help it achieve a top speed of 80 kilometres per hour (50 mph), and large ears with acute hearing. The long legs and neck allow the serval to see over tall grasses, while its ears are used to detect prey, even those burrowing underground. Servals have been known to dig into burrows in search of underground prey, and to leap 2 to 3 metres (7 to 10 ft) into the air to grab birds in flight. While hunting, the serval may pause for up to 15 minutes at a time to listen with eyes closed. The Serval's pounce is a distinctive and precise vertical 'hop', which may be an adaptation for capturing flushed birds. They are able to leap up to 3.6 metres (12 ft) horizontally from a stationary position, landing precisely on target with sufficient force to stun or kill their prey upon impact. The serval is an efficient killer, catching prey on an average of 50% of attempts, compared to an average of 38% for leopards and 30% for lions. Servals are extremely intelligent, and demonstrate remarkable problem-solving ability, making them notorious for getting into mischief, as well as easily outwitting their prey, and eluding other predators. The serval will often play with its captured prey for several minutes, before consuming it. In most situations, servals will ferociously defend their food against attempted theft by others. Males can be more aggressive than females. Like most cats, servals are solitary, nocturnal animals. They are known to travel as much as 3 to 4 kilometres (1.9 to 2.5 mi) each night in search of food. Females defend home ranges of 9.5 to 19.8 square kilometres (3.7 to 7.6 sq mi), depending on local prey availability, while males defend larger territories of 11.6 to 31.5 square kilometres (4.5 to 12.2 sq mi). They mark their territory by spraying urine onto prominent objects such as bushes, or, less frequently, by scraping fresh urine into the ground with their claws. Threat displays between hostile servals are often highly exaggerated, with the animals flattening their ears and arching their backs, baring their teeth, and nodding their heads vigorously. In direct confrontation, they lash out with their long forelegs and make sharp barking sounds and loud growls. Like many cats, servals are able to purr. The serval also has a high-pitched chirp, and can hiss, cackle, growl, grunt, and meow. 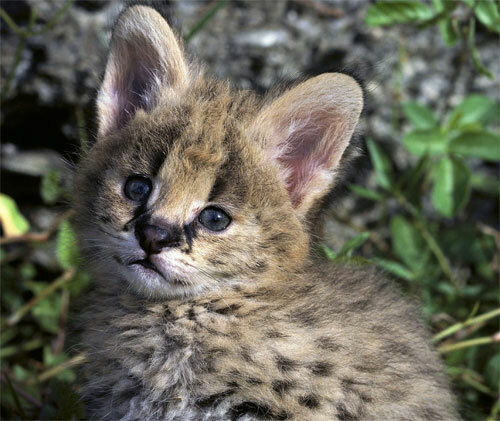 Oestrus in servals lasts for up to four days, and is typically timed so the kittens will be born shortly before the peak breeding period of local rodent populations. Servals are able to give birth to multiple litters throughout the year, but commonly only do so if the earlier litters die shortly after birth. 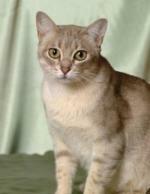 Gestation lasts from 66 to 77 days and commonly results in the birth of two kittens, although sometimes as few as one or as many as four have been recorded. 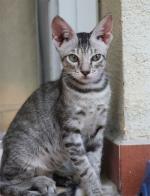 The kittens are born in dense vegetation, or sheltered locations such as abandoned aardvark burrows. If such an ideal location is not available, a place beneath a shrub may be sufficient. 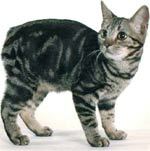 The kittens weigh around 250 g (8.8 oz) at birth, and are initially blind and helpless, with a coat of greyish woolly hair. They open their eyes at 9 to 13 days of age, and begin to take solid food after around a month. At around six months, they acquire their permanent canine teeth and begin to hunt for themselves; they leave their mother at about 12 months of age. They may reach sexual maturity from 12 to 25 months of age. Life expectancy is about 10 years in the wild, and up to 20 years in captivity.